What is a personal profile? 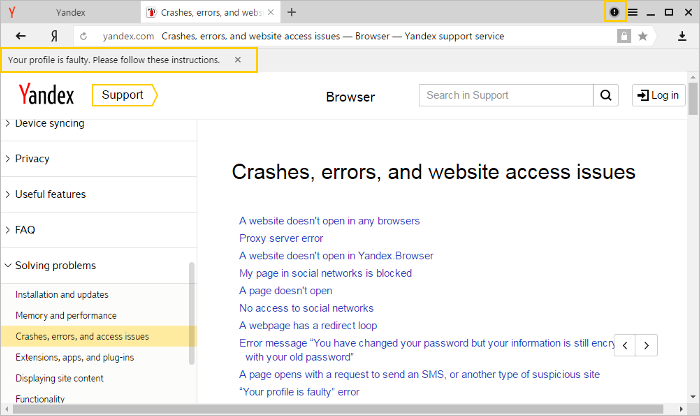 If multiple people use your computer, we recommend creating a personal profile for each user in Yandex Browser. That way your information and browser settings will not get mixed up with someone else's. You can also use an additional profile if you have multiple accounts (for example, a personal and work account) to store their data separately. In the Profiles section, click Add a profile. If necessary, turn off the option Create a desktop shortcut for this user. Click the profile icon in the upper-right corner of the browser. Select the desired profile in the menu that appears. The profile you select will open in a new browser window. Switch to the desired profile. Select a profile from the Profiles block. In the Edit window, enter a new name. Click on the profile name in the Profiles section. In the window that opens, confirm that you want to delete the profile and all related data. Note. The AppData folder is hidden. To see it, enable hidden folder display. If you synced your profile, then your data will be saved on the server even after you delete it from your local computer. Syncing lets you save most of your profile information on a server. That way you can access it from other devices and restore it if your computer crashes. 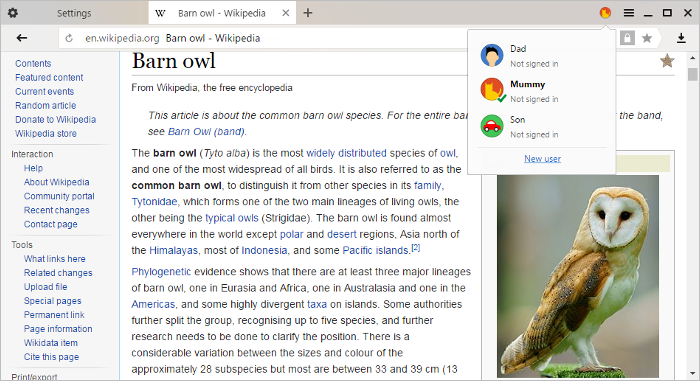 Save your profile on your computer if you want to save all your browser settings and information (for example, if you need site permissions or want to save open tabs). This may be necessary if you plan to restore all your data after you reinstall your computer's OS or move all your profile information to another computer. Tip. If you only need bookmarks from your current profile, you can export them in an HTML file and then import them into your new profile. Open the following folder in Explorer C:\Users\Your account name\AppData\Local\Yandex\YandexBrowser\User Data\Default (to see the AppData folder, enable the hidden folder display. Note. Support for Microsoft Windows XP and Vista operating systems ended in April 2017. Import data from your old profile to your new one. Log in to your new profile and sync it under a different username. Open the folder containing your old profile in Explorer C:\Users\Your account name\AppData\Local\Yandex\YandexBrowser\User Data\Default. All files in the Extensions folder. Launch the browser, sign in to your new profile, and make sure that your data and settings were restored. Go to ~/Library/Application Support/Yandex/YandexBrowser/Default. Information from your old profile is saved here. Enter the name of your new profile and click Add. Enter your Yandex username and password. That way all your data will be transferred to your new profile from the Yandex server. To find out more about syncing, see Browser Syncing. If you were not able to transfer data from your old profile to your new one, report the issue to Tech Support using the Feedback form.